Jenny is home from college for the summer and is feeling unsettled with her life but can't figure out exactly why. Restless Jenny awaits news of a journalism job in Texas with eager anticipation. When not helping around the house or playing with her younger brother and sister, Jenny finds solace in a secluded field where she spends hours getting lost in books. Finding a new friend to confide in and share her dreams with, soothes Jenny's soul, but she needs to confront and accept her past before she's able to make any strides toward the dreams she has for her future. Clarke's passion for historical subject matter shines through with solid writing which transports the reader back in time effortlessly. She has created layered characters who are empathetic, caring, and independent. The entertaining writing allows the readers to examine a moment in hitory as though they were on location with the characters. The realism with history makes reading the novel and educational experience. Linda Weaver Clarke's first historical fiction novel, Melinda and the Wild West, was a semi-finalist for Reader Views "Reviewers Choice Award 2007." 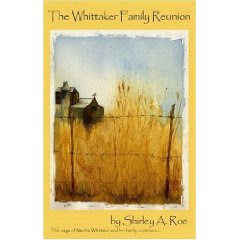 Clarke writes articles for newspapers and teaches a Family Legacy Workshop where she encourages people to write their family history and autobiographies. Jenny's Dream, the third of five novels in the series A Family Saga in the Bear Lake Valley is a recommended read. It shares a notable lesson on how one's impressions may be tainted by one's experiences. Dale Kinsall has the sinking feeling that someone is in danger. Worse, that someone may be him. While Dale deals with ongoing construction at his clinic, he starts discovering mysterious notes in the most unexpected places. The riddles seem to forewarn danger, but could be a prank. With regular worries of managing a staff and maintaining a full schedule of furry clientele, Dale wonders if his life will ever settle down again. Dale’s best canine friend, Sully, is great at sniffing out varmints, treats, and danger, but with no particular priority to any it’s hard to know when he’s on a serious scent. While the two find time to train together for upcoming dog shows and obedience competitions, they find themselves entwined in a new mystery that has them each stretched to the limit. 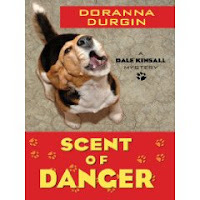 Author Doranna Durgin’s newest Dale Kinsall Mystery is an entertaining and fun novel that delves further into Sully the Beagle’s life, which includes training for shows and investigating any danger his nose can sniff out. The dialogue, human and canine, adds humor and a different perspective for the reader. The author weaves veterinarian and performance sports details into this cozy mystery with such seeming ease as to educate the reader while offering the well-disguised details needed to solve the puzzle. Doranna Durgin’s novel writing career has spanned genres and form to include over twenty novels in mystery, SF/F, action-romance, and franchise (such as “Ghost Whisperer”). She has also published numerous essays and short stories. With several new novels in the pipeline, Doranna also enjoys hanging around outside her Arizona home riding dressage on her Lipizzan and training for performance sports with her dogs. Creative play with a dog’s point of view combined with humor and lots of heart combine to make Scent of Danger an enjoyable read for the whole family. I highly recommend this book to any cozy mystery lover interested in cuddling up with a fun, light-hearted story full of suspicious coincidences. Scent of Danger will be available at: http://www.amazon.com/, http://www.bn.com/, other online outlets, and local book stores in December ‘08. Albert McTweed has such an active imagination that PJ McDougal, his imaginary friend, actually comes to life and helps Albert with his troubles. Albert is an intelligent young boy who lets life's experiences ooze into his drawings. He lets his imagination, in the form of a cowboy named PJ, take on a life of its own. PJ, always in precarious situations that seem to have one dreadful outcome, stays focused on the problem at hand and takes advantage of luck and common sense to save himself. The author's dedication to entertaining his readers is as prevalent as his desire to inspire education. He includes definitions of certain words in the back of the book. The prose is descriptive and engages all of the senses. Short, tight sentences add to the unpredictable, interesting, and constantly active pace of the story. The two main characters, Albert and PJ, come alive through their vivid perceptions of their individual worlds. 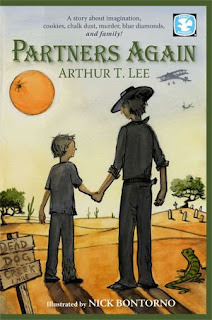 Arthur T. Lee realized when he was a very young boy that writing was what he had to do. It took several school years and encouragement from teachers before he decided to embrace writing completely. Partners Again is his first novel, but several more for middle grade and young adult are in the works. Arthur is a long time advocate of increasing child and adult literacy. Arthur and his family live in the northwest. Partners Again has something for everyone and is a recommended uplifting family read. It's a wonderful reminder of the enjoyment and power of the imagination. Linda Jordan just needs a little more time to put the finishing touches on her newest medical thriller before submitting it to her publisher by the deadline, but life isn’t that easy. The Black Widow Agency accepts a case involving a well-known and easily recognizable author. While trying to keep Linda Jordan secluded from fans and protected from foes while she finishes her latest novel, the Black Widows need to figure out how to deal with a required upcoming speech the author needs to give in a highly public location. Also challenging the Black Widows is a co-worker who is continually absent and unavailable without explanation. The women balance worry with work as they struggle without their computer geek and hunt down the mysterious person or persons who don’t want the controversial medical novel manuscript to ever see print. Felicia Donovan began writing stories early on and completed her first novel before graduating high school. She became a teacher, but always felt compelled to return to the joy of writing fiction. Felicia left teaching to join a New England-based police department where she discovered the fascinating world of computer forensics. She resides in the bucolic countryside of NH with her two children and three dogs. She has a deep affection for her family, her friends, fine chocolates and well-spun tales. Spun Tales is a wonderful continuation of the Black Widow agency series. Like the first novel, this is an engaging read. It is entertaining, suspenseful, fun, and fast paced. The four main characters are further developed and overcome new challenges. I highly recommend this novel to any mystery lover, especially those interested female leads. Spun Tales is available through: http://www.amazon.com/, http://www.bn.com/, other online outlets, and local book stores. Keep an eye out for the third in this series, Fragile Webs. Ben Maki is focused and determined to supply the world with fresh water before the need hits critical levels. The technology, people, and polar cap event finally fall in line and Ben Maki is poised to realize his dream of having an endless resource provide clean drinking water to millions. Staying at the forefront of budgets and years of knowing his company’s competitor could sweep in and take credit, keeps Ben on edge. He juggles dealing with protestors, an unsatisfied boss, and his daughter’s school science project with an unknown scientist called “Iceman.” The surprises Ben encounters continue to surprise him and cause him to question everything he’s known as truth since the inception of the project. Debut novelist, Karen Dionne, has crafted an amazingly engaging, fast-paced novel that makes the reader wonder just how the ratio of fiction to reality plays out. The science research is woven seamlessly into the storyline, and the reader can’t help but become educated about the earth’s fresh water resources. Short chapters are filled with tight writing and no extraneous detail. Thriller writing at its best. When Karen Dionne first moved to Michigan’s Upper Peninsula, her indoor interests were stained glass, weaving, and constructing N-scale model train layouts. Eventually, her creativity turned to writing. Karen’s short stories have appeared in Bathtub Gin, The Adirondack Review, Futures Mysterious Anthology Magazine and Thought Magazine. She worked as Senior Fiction Editor before founding Backspace, an Internet-based writers’ organization. She and her husband live in Detroit’s northern suburbs. Imagination mixed with a good dose of real science combine with a lot of answers to the ‘what if’ question to make Freezing Point an adrenaline rush from start to finish. 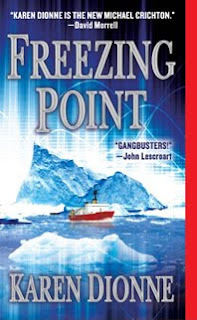 I highly recommend this book to anyone interested in an ice cold thrill ride. It feels like Perfect Stormwith ice caps instead of stormy weather. Totally engrossing. Claudia Rose joins a crowd at the star-studded funeral of her former friend, Lindsey Alexander. Claudia is amazed at the GQ model pall bearers, high profile attendees looking for one more big party, and swarming paparazzi trying to capture the best photo. Claudia, Lindsey, and Kelly had been friends in college. Claudia and Lindsey studied handwriting analysis. Claudia stuck with it while Kelly studied law and Lindsey moved into high profile public relations. Lindsey’s personal actions and behavior pushed Claudia and Kelly away, yet there was still a lingering attachment between the trio. Claudia would love to see the suicide note found beside Lindsey’s body due to professional curiosity, but she is not involved in the investigation. She is hired by a mutual friend of Lindsey’s who suspects foul play. Claudia hesitates to get involved, but finds herself suddenly propelled into the investigation and she has no choice by to follow the myriad of disturbing clues to the life-changing conclusion. Sheila Lowe has crafted a unique protagonist using her professional experience. Claudia Rose is an independent career woman with a tender heart, great instincts, and the ability to deal with scary situations, including romance, as they come at her. Claudia learns from past experiences and gives people the benefit of the doubt for as long as possible. Sheila Lowe is a handwriting expert and the author of the best-selling books The Complete Idiot’s Guide to Handwriting Analysis and Handwriting of the Famous and Infamous. She is also the author of the award-winning Sheila Lowe’s Handwriting Analyzer software. A British transplant, Sheila currently lives in Ventura, CA. Poison Pen is Sheila’s first published fiction and the first in the Claudia Rose series. Learn more about the series at: http://www.claudiaroseseries.com/. Poison Pen is a solid mystery as well as a learning experience. The reader is pulled along with the protagonist as she follows the trail of clues to their conclusion, while being privy to some insight into handwriting analysis. It’s a great pairing. 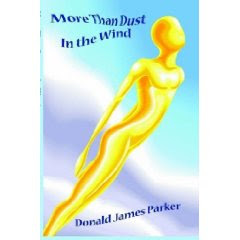 Available at: http://www.amazon.com/, http://www.bn.com/, other online outlets, and local book stores. Valerie McCormick is combining a solo all-expense paid dream trip to Seattle with business, while her family is at home in Canada. Her trip takes a life-altering turn when she accidentally witnesses two murders. Valerie realizes how alone she is when the murderers give chase to silence her. She is unfamiliar with the area and panics even more when she realizes what she dropped. Her inner need for self-preservation to stay alive and get home to her kids keeps her alive. She wrestles with her conscience about what to do about what she saw. It’s her personal family history that helps her make the tough decision and it might not be the safest one. Learning she witnessed the murder of two FBI agents does nothing to soothe Valerie’s nerves as she makes her way home and tries to keep the graphic images out of her mind. With her brother’s unwavering support, she focuses on the family lumber business and raising her three daughters. Joylene Butler’s protagonist is a ‘real person’ – a mother, wife, and co-owner of a family business – but it’s the exceptionally crafted, extreme circumstances Butler devises for the protagonist that yank the reader into the prose and keep eyes focused on the pages. Butler’s research is seamlessly written to make the story move along as quickly as the action. The tight, descriptive writing makes the characters seem like they are on a movie screen and not mere text in a book. Joylene Nowell Butler was born in Manitoba, Canada, grew up in Haney, and raised her sons in Pr. George, BC. She and her husband built and now live in a cottage on Cluculz Lake. The jury is out whether they'll retire there or not, but it’s where Joylene is currently at work on her sixth novel. Check out her blog at: http://cluculzwriter.blogspot.com/. Dead Witness is a true suspense novel. The reader naturally tries to anticipate where the story is going, but Butler has a surprise around every corner. If you enjoy thrillers or suspense, this book does not disappoint. The novel is a literal page turner if you focus on the story and overlook any editorial issues. Butler is a name to watch in the thriller genre. Carrying only what fits in his rucksack, 27-year-old Mark buys a bus pass and travels across America in search of answers to life's questions. Having just finished a doctorate in biology, Mark knows his parents are proud, yet filled with unspoken expectations about his future. He is confused about his personal life, but also about whether pursuing the profession he is now prepared for, or following his longing to write novels will be more fulfilling. He decides the answers can be found on a solo trip west of NJ and that now is a good time to travel. Mark Slomiany's passion for Wiliam Carlos William's poetry nd Jack Kerouac's novels are apparent when reading West of 16W. The narrative reads more like poetry than prose with its verboses and descritive sentences. Slomiany's use of first person keeps the reader engaged as if in personal conversation. A novel touted to be for Generation X post 9/11 is applicable to all adults who realize life may not be all about the money. The author grew up in Rutherford, NJ. He is a graduate of Washington and Lee University and the Medical University of South Carolin. He is an assistant professor at the state's medical university in Charleston. West of 16W is his first novel. West of 16W is a good read for those interested in some descriptive adventures of travelling America by bus. One must also enjoy re-reading sentences for clarity. The Truth is a glimpse into the diary and thoughts of a girl who is ten at the start of the story. We follow her through two school years and get a candid look at a ‘tween’s perspective of life. Everyone can remember feeling that we knew more than our parents when we were kids. In The Truth, the narrator gives us her opinion on falling in love, the damage done when parents argue, and her fears about getting older. She does so in a sincere and straightforward matter. She makes a list of truths that she wants to remember as she gets older because she fears aging has a negative effect. She knows adults must know the truths but that they somehow forgot, for how else can they possibly accept yelling at each other. The unique voice along with the diary entry format make the book a quick read. It has an educational value which should be shared with all young girls and parents. The entries are direct and honest. The reader feels privy to the secret diary of the girl whose writing is personal, accessible. The observations made within the diary follow a natural progression of personal growth, which makes it feel more like non-fiction than fiction. Dr. Barbara Becker Holstein is the originator of The Enchanted Self(R). She has been a positive psychologist in private practice and licensed in the states of New Jersey and Massachusetts since 1981. She is currently in private practice in Long Branch, New Jersey with her husband, Dr. Russell M. Holstein. I highly recommend reading The Truth. It is great for women of any age, and can definitely be appreciated by tweens and teens. It’s interesting to have memories of the tween years conjured up that are a mixture of enjoyable and hard to deal with. Ramzi Ozcomert Junior is twelve. Being invited on the annual logging trip with his father means he is a step closer to manhood. Ramzi’s determination to prove his strength teaches him endurance. His father’s wisdom teaches him much more. amzi’s sister, Erin, has their father’s support in marrying the man she loves instead of following tradition. Family and friends celebrate the nuptials according to custom. The wedding day is at hand and tainted by threats from the snubbed Kocdag family. As Ramzi’s entire life changes, he must rely on the knowledge he gained from his father to make sense of his life and aid him in survival. His travels introduce him to good, bad and devious people, and he quickly realizes he has the intelligence and strength to move on. Behcet Kaya’s descriptive writing pulls the reader into the start of the story. The Turkish village comes alive and the reader is given a glimpse of beliefs and customs inherent for the times. The writing and tone shift as the story progresses and Ramzi ages. Philosophical narrative replaces dialogue. The point of view shifts to show the reader a large overall picture instead of a slice of life. At sixteen, Behcet Kaya left his small Turkish village for England where he finished high school and pursued mechanical engineering. He became a US citizen in 1985. He and his wife currently live in southern California. 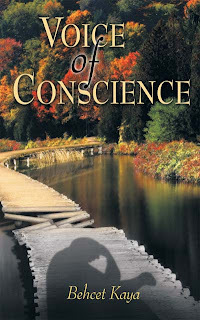 Voice of Conscience is his first novel. Voice of Conscience is a good read for historical appreciation of how culture and beliefs may affect personal choices; however, one must be able to overlook editorial issues. Dr. Barbara Becker Holstein is on a Virtual Book Tour this month and she'll be stopping by here on the 23rd! Her book, The Truth (I’m a girl, I’m smart and I know everything!) is an educational and fun read. Every tween today faces social issues, questions about their parents’ relationships, gossip and crushes. In response to the crises young girls face today, positive psychologist Dr. Barbara Becker Holstein has written girls, and their moms, The Truth (I’m a girl, I’m smart and I know everything!) (Enchanted Self Press, Feb. 2008). The Truth for young girls is that it’s OK to be unique individuals, have fun and delight in the wisdom of being young. Behind this fictional diary written by a young girl, are psychological messages about happiness for both daughters and mothers. Dr. Holstein merged her years of expertise as a classroom teacher, school psychologist, case study researcher and psychologist in private practice, and created this charming, wise and topically timely diary written by a girl. There are even discussion questions at the back of the book. Along the likes of the candor of a Judy Blume book, this fun diary-format paperback gives girls 8-14 years old the knowledge they are not alone, while reminding mothers what it was like to be this critical age. The book is a win-win for girls and their moms, as better communication skills, honesty and fun are encouraged. Just a note to thank those who stopped by on March 15th to chat with Jordan Dane as she stopped here on her Virtual Book Tour for her debut novel "No One Heard Her Scream". This was my first time being part of a VBT and there were a few issues but they were fixed. It was a good visit. Jordan's comments were quite insightful. Feel free to check them out if you weren't able to stop in on the 15th. Thanks for stopping by and joining me in welcoming Jordan Dane on this stop of her virtual book tour. Jordan Dane's first novel is being released by Avon HarperCollins on March 25th. Sit back, relax, and feel free to ask questions. Jordan will be stopping by to respond to your questions and comments today. Since Jordan has thrown a contest into the fray, your comments automatically enter you into a drawing for one of FIVE $20 gift cards to—what else?—a great bookstore. Winners will be announced at the live “Launch P-A-R-T-Y!” on March 30th at The Writer's Chatroom. Hey there, Lisa. Thanks for including me on your blog today. Jordan, you wrote "No One Heard Her Scream" in six weeks while on medical leave. That's quite an impressive way to stay off pain meds! But it apparently worked quite well for you. And my doctor! I think he added a pool. You have been writing fiction since 2003, is that correct? Or is that just when you started pursuing it for publication? Do you still have a full-time job, or is writing now the focus? Yes, prior to 2003, I’d never even thought about writing a novel. But I have to say that the bug first hit me when I was at a Zig Ziglar presentation—the motivational speaker guy. I don’t remember anything he said that day except for one thing. (Not a good thing for Zig but great for me.) He said that he wrote his non-fiction book doing it a page a day. I thought, hell I can do that. I sold my first series in June 2006 and retired from my energy job in May 2007 before I sold the second series. I knew that I wouldn’t be able to keep up with these writing contracts if I didn’t quit my day job. But my energy job was a very lucrative one. It was not an easy decision, especially since I thought of my co-workers as family and still do. But my husband and I have been working with a financial advisor since the mid 90s and had been looking for a way to retire early. The writing gig put us ahead of schedule. Even selling in a great auction would not be enough for me to recommend anyone quit their day job unless they had a solid financial plan, two years of income saved, and coverage for medical. From what I gather, No One Heard Her Scream wasn't the first novel you completed, but it sounds like the one you are most satisfied with to date. Can you share the evolution of your three to-be-released novels? Which one did you actually write first? Did you have a 3-book series in mind when you started? Actually, I love all my books for different reasons and I always say that my best work is my next one since I’m learning as I go. I try new things all the time, pushing the boundaries of my cross genre type stories. The last book I completed Evil without a Face was submitted to Avon at the beginning of Jan and it was the first book in my new thriller series, Sweet Justice. That story was an amazing revelation to me and I loved it. I’m writing the next book The Wrong Side of Dead and the characters are so much fun to write. On the evolution of my first series, I had written No One Left to Tell (#2 red book) as my first ever suspense novel. It was my big contest winner. And when I ended that book, I didn’t want to let go of the characters since there was more to tell. (When you read the ending of that book, you’ll know what I mean.) I started a follow up story that picks up a half year later--my Brazil story No One Lives Forever. But I realized that if I didn’t sell the first one, I might be wasting my time to do a sequel. I set aside 6 chapters of Forever, but did a thorough synopsis as a guide when I came back to finish it, figuring a publisher might come back for my inventory. And by this time, the characters of No One Heard Her Scream were clamoring in my head so I wrote that book while I was home on the mend from surgery. I have more details at my website on the page marked FOR WRITERS (see my FIRST SALE link). After I sold in auction, I had to finish FOREVER, but I had the other two done. And no, I didn’t have a series in mind from the start. So the order was TELL first, then a partial start of FOREVER, then I completed SCREAM and went back to FOREVER. Convoluted, huh? And with my books not being released for almost two years after I sold, I would have been twiddling my thumbs for a long time if I didn’t sell another 3-book series and lucky me, my publisher Avon was open to the idea of buying more. Do you write anything in addition to novel-length fiction? No, I don’t, unless you count my INSANE Christmas letters to family. (Remember, I write fiction.) Novel-length fiction takes up all my time. I never tried to write short stories, although I think that would be a challenge worth trying sometime. In my opinion, they are harder to do (the right way) than attempting a full novel. But I heard Sue Grafton speak once and she said most people think a short story is the way to start, but she said that learning to write by doing short stories will only teach you how to write short stories. And I have to agree with her. I always had my eye on where I wanted to be, so my goal was always single-title books. Every writer is different in her approach to the writing life - would you share a bit of yours with the readers? Do you have a particular time each day to write? So many hours/pages/words per week that you strive for? A particular location with a view? A view? If I had a view, I’d be enjoying it way too much. A talented author friend of mine, NY Times Bestseller Cindy Gerard, has her desk near a window that looks out onto her horse farm. I could never do that. I’d be looking for any excuse to daydream. I’ve got a great big backyard with a Koi pond. (Yes, I’m a fish wrangler.) We feed the wild birds too, but I could never sit and look out my window. I do have an office in my home that has a door to keep my curious cats out (and husband) while I work. (The cats are better trained.) But the door is most handy to cover my mess. I am organized on the computer and attentive to details in promo and my writing, but when it comes to clutter, I am a real pack rat. My forensics and other resource books are handy, but if mounds of trash had value, I’d be friggin’ Oprah. And I don’t believe in placing undue strain on my process by giving myself a timetable. The clock is ticking in my head and I instinctively know when I should ramp up my game to meet a deadline. I’m usually early. I generally work from 9am-3pm every day, including weekends, when I’m on a project. My husband makes me breakfast (because I might have been up since the wee hours if something has gripped me) and we talk about crazy plots and the latest in news and politics before he goes to work. Then I’ve added an exercise bike to my day in the afternoon before I wind down to do edits for that day. I am a stickler for editing my work as I go. When I am done with a novel, I am completely done. No going back, no first or second drafts. It’s ready to go. I generally start with online research because it’s easy, but I verify everything in different ways (expert help, books, interviews) to make sure my thoughts are solid. I love Robert Crais and Dean Koontz but they’d be little help for me to figure out how to write a ‘romantic suspense on steroids’ story. I read other authors for pleasure, not to de-construct what they do to emulate them. For me, that would ruin the read for me and have the potential for diluting my voice. I’ve never tried to figure out what my style is. (I talk about my method on my FOR WRITERS page at the link for START WITH A BANG and Free Association. I filter my life’s experiences and worldview through my characters—good and bad guys—which is a scary thought.) I think that’s why my publisher and advance readers have found my book a little different. My books are very cross genre and have elements of many types of stories I love—mystery, suspense, romance, humor, police procedural, forensics, and thriller elements. When it comes to research, I am a freak about it. I went through over 45 hours of presentations with my local cop shop, including a day spent at the firing range and blowing up stuff with the bomb squad and a ride-along with an on-duty police officer. My lieutenant for the class became my technical advisor for TELL. He knew I wanted to use a flashbang grenade in my story and set one off near me (at a safe distance…I think) so I could feel what it was like. If you read these passages in my novels, you will have the inside scoop. I’ve also taken online classes in forensics and I always have a handful of technical advisors on my books for any specialty stuff—like my Brazilian friend who helped me with Brazilian Portuguese for FOREVER. And for SCREAM, I had to study interrogations and was on my own for that aspect of the novel. That was a big part of my story and there is real subtlety to the process. A cop has to have amazing instincts. But for other things, I had a former Houston homicide detective help with details of Texas law enforcement. Each state is different. So as you can see, research is a big part of what I do. I choose to add the level of detail so a law enforcement person can read my books and like what they see. I’ve gotten compliments on this before, including getting a book blurb endorsement from former homicide detective turned author, the award winning crime fiction author Robin Burcell. After she read my crime scene excerpt from SCREAM on my website, she offered to blurb my book. I enjoyed reading No One Heard Her Scream and look forward to reading the other novels as they are published. Your website and myspace page contain a lot of information and I love your down-to-earth humor and conversationalist style. I appreciate your time with these questions and look forward to talking with you in the future. The honor has been all mine, Lisa. Thanks for taking time to read my work. And I wish you much success in 2008! Jordan Dane will be here tomorrow! Please stop by this blog tomorrow to chat with Jordan Dane as she stops here as one stop on her virtual book tour for her debut novel No One Heard Her Scream. "HarperCollins has graciously offered a wonderful incentive to promote the debut of my suspense novel NO ONE HEARD HER SCREAM, upcoming release March 25th. By going to my website contest page, you get an exclusive sneak peek inside my book-up to 20% of it. And to celebrate my first release, my publisher is giving you three different ways to WIN MY BOOK or OTHER BOOKS from HarperCollins. Click on the links below for more details." The Browse Inside post link: http://tinyurl.com/28nd9x. I'm one host of The Writers Chatroom first Virtual Book Tour. Please join me in welcoming Jordan Dane this month. Stop by on the 15th and check out my interview with Jordan about her writing life and her debut novel No One Heard Her Scream. Self-inflicted physical pain does little to ease Detective Rebecca Montgomery’s frustration and guilt bubbling just below the surface of her hard exterior. Even with her experience and resources, Rebecca is unable to find answers. Rebecca’s personal interest and combative attitude in the handling of missing and abducted girls lands her on the cold case squad. Her first assignment is meant to keep her occupied and away from the detectives handling her sister’s case, yet she quickly finds herself being removed from her newest project and told to take vacation time. With time off from work and her heart breaking over her crumbling family, Rebecca knows she can’t sit around idle. She uses what details she has and contacts she’s made to build a theory. With a little maneuvering and no badge, she’s able to step outside the regulations a little to engage a reluctant mysterious man to become her partner. With only circumstantial evidence, Rebecca follows her gut and her heart with little heed to the consequences her actions will wreak. The story is heart pounding. No One Heard Her Scream is unpredictable in a real-life way. The twists and turns that Dane takes the reader on are nothing short of an invigorating roller coaster ride into the dark pit of the real world. The reader is just as surprised to learn new facts as the protagonist, and just as puzzled as to how all the pieces fit together – or even if they do fit together. In the midst of all the action, Rebecca realizes someone is tugging at her heart strings. Love is nice, but now isn’t time. The female protagonist in Jordan Dane’s No One Heard Her Scream is solid. The writing makes the book a page turner and difficult to put down. The array of characters keeps the reader engaged and involved in the action. They are unique in their own mix of foibles and strengths. Dane portrays the dark subject matter quite well with tight descriptive details and use of senses. I recommend reading No One Heard Her Scream to anyone who enjoys police action, and a lot of fast paced suspense and a dash of romance. The reader is grabbed at the opening page, is breathless by the climax, and glad to be breathing normally again by the last page.